Want to Live your Passion Daily and Thrive Inside? 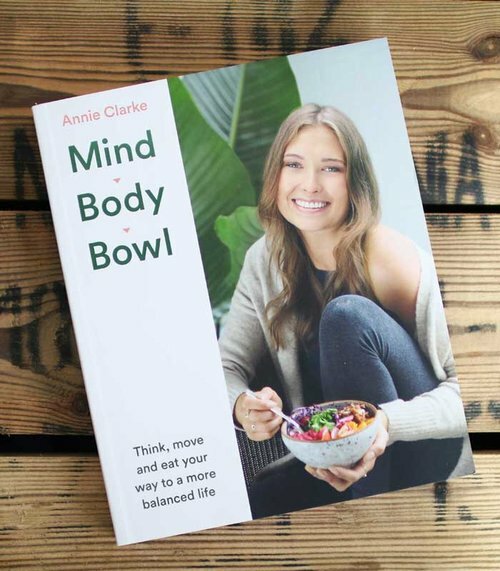 Spa it Girl chatted exclusively with Annie Clarke founder of Mind Body Bowl who shares her Go-To Tips Lifestyle Tips that will inspire you to live a Healthy, Happy Life that you are Passionate about Daily. Can you tell us a little bit about yourself: I’m a yoga teacher, blogger, author and speaker with a real drive to connect person to their own personal sense of wellbeing. I believe that being healthy is a totally individual concept and I hope that through my work I can inspire people to take responsibility for their own wellbeing in order to find what truly makes them feel good. What Inspired you to Want to Live a Healthy Life? I felt really rubbish. I had no energy, I was constantly experiencing some sort of digestive discomfort and I had no confidence in myself as a result. I got to the point where I knew I had to do something, I just had no idea how much of a difference it would make. What Does Living a Healthy Life look like to You? It’s about tuning in to myself, being adaptive and dynamic in my approach and just allowing myself to feel good both physically and mentally. Why did you start practicing Yoga? I started yoga because I wanted a new way to exercise, and because I had really tight muscles. It was purely a physical practice at first, but over time I totally shifted and now I practice for my mind. Today we are working with the element 'Air'. It's backbendy and challenging for me but I'm slowly finding more space. Join me for two elements based workshops in April and May! Only 5 early bird tickets left. The link is in my bio if you want to come! What do you love most about practicing and Teaching Yoga? 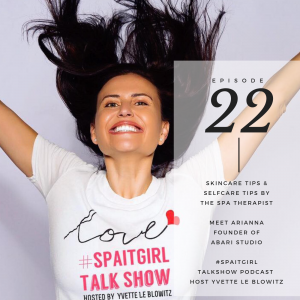 I love creating a safe space where people can connect with themselves. I think we don’t do enough of that and so to help students on that journey is so special. Everyone comes to the mat for different reasons, but it is all part of the same thing and to be part of that energy is very special. And that’s why I practice – to do that for myself too. On Instagram we see so advanced yoga poses & photos, what advice can you give to others who aren’t that advanced yet? My biggest piece of advice is that it just doesn’t matter. Our bodies are so different and there will always be things to challenge us physically and they have a place in our practice as they teach us different lessons. But mastering an advanced pose isn’t yoga. It’s the process that counts. Being with the breath is what it is all about. What do you love most about Cooking? I really love food, and sharing that with people. Cooking for myself is much less exciting but I love the social aspect and the way it draws people together. What Inspired you to write and publish your Wellness Book; called Mind Body Bowl? If I am totally honest, I never really wanted to write a book. But it is something that started to come up more and more and so eventually I took a leap of faith and trusted that it was the right time. In doing so I learned so much about my own outlook and what I have to share. Can you tell us a little bit about your Mind Body Bowl Book? Mind Body Bowl is a non-prescriptive tool to empower the reader to take responsibility for their own wellbeing. It share tips, tools, recipes and ideas in order to help develop your relationship to yourself in order to understand what wellbeing means to you. What do you love Most about the Launch of your Brand New Book? I think it is different to lots of other resources out there because it looks beyond food and ties in a more holistic approach but without being fancy or inaccessible. Just me, doing yoga, reading #mindbodybowl 17 stories high ?BEST PIC EVER ? – I've actually just stolen this pic from @wellness_ed just to set the tone for the day – because I just arrived @womenshealthuk where I'm stealing her job for the day. Although hopefully I'm really just helping because I'm not sure I'm ready for that sort of responsibility but I'm ready to give it a good go. Make sure you follow Women's Health social channels to see what we get up to! How can we buy your Book? It’s in lots of book stores in the UK and is rolling out internationally too. It’s also on Amazon UK, so that’s a pretty easy way to get hold of it. What Words of Wisdom do you have for anyone else wanting to Publish A Book? To just go for it, to be authentic and to trust that the right thing will happen at the right time! Can you share one of your Favourite Go-To Recipes from your Brand New: Mind Body Bowl Book? The farmhouse loaf is a really simple bread recipe that lots of people are loving, and the veggie curries are always winners too, especially when I have friends round! If you’re looking for something sweet or an on-the-go snack then the chocolate orange energy balls are pretty delicious. Do you have any Favourite Yoga Studios in London that you practice or teach yoga at? I tend to practice as Indaba and Yotopia, but also like to explore. I teach at Frame and there are lots of great teachers there so sometimes I stay to practice too. When is your next Yoga Retreat? I am teaching a retreat in India at the end of March and another in France in September. So excited to be hosting another retreat in South of France with @chayayogaretreats in September 2017. Get in touch now to find out more! And we have one spot left for Goa March 2017 if you fancy 10 days of sunshine, yoga and delicious food! What Inspired you to start hosting your own Yoga Retreats? They’re a wonderful way to work with students on a deeper level and go beyond what we can practice in an hours class. What do you love Most About going on a Yoga Retreat? That you have full permission to switch off, to do as much or as little as you want and just to take exatly what you need from it. Reduced schedule this week but I'll be bringing lots of calm and a pinch of creativity to the mat after an energising weekend. – Monday 6.45 + 10am and Wednesday 6.45 + 8am. All @moveyourframe Shoreditch. See you there yogis ?? Why do you love travelling & yoga retreats so much? I love to travel, and explore new places. I enjoy being on the beach or wandering around cities and taking in the culture. But for a yoga retreat I like to be cut off, so that you get that permission to dive into your experience without the distraction of the outside world. Are there any Spa’s that you have visited that you think we should know about? I’ve not been lucky enough to visit many spas but I have a couple on my todo list – I will report back!! What Makes You Happy? Feeling good and being with the people I love. So lovely to catch up with my best girl @_livingyoga after a busy day filming. She's been writing some pretty cool stuff about yoga beyond the mat. If anyone's interested in looking after other humans and our planet, you should check it out. I might be biased but she's pretty awesome ? What is Something You Couldn’t Live without? My mum. She’s so supportive, as is my whole family but she definitely was the first person to understand when I wanted to make a change to my lifestyle. With so much on your Plate? do you have things other than Yoga, Cooking, Meditating that you love to do that helps you unwind from your To-Do List? Yes absolute, I love to move my body and I’m really into boxing, so that’s always fun. Yoga and meditation are pretty key for me but also just wandering round or going out to eat with friends or family. Living in London you get to experience a lot of Winter, do you have any tips to help with Beating the Winter Blues? To really invest in what makes you feel good and to nourish your body to support yourself in the long winter months. As a Yoga Teacher, do you have a Favourite Yoga Brand you love to wear? I am a big fan of Lululemon and was made an Ambassador for them when the Spitalfields store opened. So most likely, I’ll be in Lululemon when I teach or practice. Just hanging out, don't mind me. Heading to the launch of the new @lululemonuk store on Regent Street tonight and I'll be showing you around via their snapchat. Come find me! What Yoga Mat are you Rolling out at the Moment? is it a Brand we should know about? I use mats from Liforme and Lululemon. They’re the best ones for me in my practice! Do you use Crystals? Mantras? Positive Affirmations? I believe that everything happens for a reason – that’s my life mantra I guess and my crystal collection is growing as I learn more about their powers. Do you have any Spiritual Teachers that inspire you and you learn from? I think there is inspiration all around us. I have some wonderful teachers that help to guide me too but I learn the most from my students and loved ones. What is one thing you think anyone can do to Feel More Spiritual and Happy Within? Breathe consciously. It is amazing how quickly that can help us to feel more connected. When we are not Feeling Great about the way we look and feel what can we do? I try to take those opportunities to work out where those thoughts are coming from. So I ask myself if its my energy or negative thoughts and try to come from a place of caring and nurturing in stead. That way I become more accepting that there are fluctuations in how I will feel about myself – physically and mentally – and just work on keeping my body and mind as strong as I can. What are You Looking forward in 2017? To exploring more of the world, learning more and then sharing it.